Badagas, generally, refer to their village or hamlet as ‘ HATTI ‘ spread around ‘Nakku Betta’ (the Nigiris). Nakku Betta literally means four (Nakku) Mountains (betta) though there are many hills around which the villages are located. It appears that initially when the Badagas established their hamlets, they took two very important factors into consideration. Being very environment conscious, they chose a) direction – always or to a very great extent facing the east [ ‘Hothu (sun) uttua (rising) pakka (side)’] and b) water souce – near a stream (halla) or spring (huttu neeru).Every hatti had a ‘suthugallu’ (sacred triangular shaped stone) at the base of a ‘bikka mara’ (tree) around which important meetings (Kootu) took place. For the most sacred of all Badaga festivals ‘Hethai Habba’ – always held on a monday (sovara), the collection of money (Hana kattodu) took place at the suthugallu in an elaborate ceremony on the preceding friday (belli). Let me write about Hethai Habba in a separate article. The houses of each village were laid out in rows, each row facing the east. The houses had common walls (Gode mane) possibly as a measure of security. Every house had exactly the same configuration of Bayilu (entrance), Nadu mane (central-living/dining room ),Oge mane (inner room) where cooking also takes place (kitchen) with a large beskatti (basket) above the hearth where drying takes place, Pillay (bathroom) and Ereh (a separate room adjacent to the bayilu). Of course, there was an attic on top of beskatti( kitchen having a hearth) the entry to which is from the nadumane. Again, we will discuss about a typical badaga house separately. A cluster of villages, which need not be close to each other, is called a ‘Seemae’. “It is said that during the reign of Tipu Sultan, seven brothers and their sister were living in a village called Badagahalli on the Talaimalai Hills near Mysore. One evening as the sister, who was a ravishing beauty, was busy making preparations for the milking of the cows as usual, one of the calves broke loose from the tree to which she had tied it . Not finding anything handy with which to tie it again, she uncoiled her long, luxuriant hair and held the calf back with it, while her brother milked the cow. Legend has it that Tipu Sultan was riding in the vicinity and was witness to this sight. He was captivated by the sister and wanted to marry her. The brothers, who were staunch Hindus, disguised themselves and their sister, and fled by night to the Nilgiris. Legend has it too, that when they reached River Moyar, which is the northernmost limit of the Nilgiri District, their pursuers started to close in on them. The family is said to have placed a ‘Shivalingam’ on the ground, and prayed before it. The river Moyar is then said to have parted, and the refugees to have crossed over, while their pursuers were drowned by the closing waters. The distinctive dress of the Badaga women is said to be the disguise adopted by them in flight, and the tattooing on their fore-heads and fore-arms, a measure taken to make them unattractive. Legend also has it that in their hurry, they forget to pickup a baby asleep in a cradle, and even today, as a reminder of that lapse, the more orthodox Badagas will not use a cradle for a baby. The brothers are said to have settled down near the present village of Bethelhada. After a short stay there, they separated and dispersed in different directions. The oldest brother told one of his younger brothers to follow a deer and build a village where it stopped. The younger brother followed his instructions and settled down in Kinnakorai, where the deer stopped. Another brother settled down in Koderi, yet another in Hubbathalai. These brothers where the founders of the Porangad division of the Badagas. The establishing of three other ‘semais’ or divisions have interesting histories behind them. It is said that as one group of Badagas or Gowdas reached the Nilgiris, they took shelter in a forest and in their hurry to leave, left a baby behind, which crawled into a cave. A Toda who happened to pass by glimpsed the baby, and enticed it to came out, but it would not. He then went and brought his own child and sprinkled some roasted amaranth grains in front of it. As the Toda child started picking the grains, the Gowda baby joined him, and the Toda father brought him up and it is said that he is the founder of the ‘Thothanad’ division of the Badagas. According to another account, two Gowda brothers arrived from Mysore and reached Nunthala. They were very hungry. The younger brother is said to have shot a pigeon, and to have roasted and eaten it, while the elder brother abstained. It is said that the vegetarian brother is the ‘Hethappa’, or ancestor of the Kundah Division of the Badagas, while the non-vegetarian brother, the founder of the Mekunad Division of the Badagas”. Though, so much is written and spoken about Badagas, it is a matter of great regret and concern that still the “EXACT” number of Badaga hattis is not known. The total number varies from 300 to 400. Though Rao Bahadur H.B. Ari Gowder is known to have sent his collegue HAIKA MATHI [literaly meaning horse man] Joghee Gowder of Bygemandu, in 1940s and 1950s to all the villages to know about the problems of Badagas, unfortunately there are no written records traceable. In a laudable effort, Mr. K.H.Madha Gowder edited “NAKKU BETTA” magazine, had attempted to record all the hattis in one of its issues in late 1970s. I take this opportunity to list the villages as mentioned in ‘Nakku Betta’ hoping any omission/ incorrect mention will be brought to my notice so that the same can be included. Also known as ” Aaila Baila Seeme ” ( Porangadu 19 Ooru ). From ‘Hubbathalai‘ to ‘Hulivare‘ constitute the boundaries. Also known as ‘ Asala Bisalagiri Seemay ‘ and (Meekunadu Seeme 9 Ooru). Nice to see Bingichagallu and Baigada were incorporate in the hattis list . …But Hosa attubayulu is still missing . Please add in the list.. Ganesan Lingan. This is Ganesan Lingan from Porthy Village Mekku Nadu seeme. “I just gone thru the Badagas website to know our hatties and seeme’s, I saw all the hattis and seems in one place and really enjoyed reading each and every hattis. I would say this is definitely Great effort! And really appreciable”. I just wanted to you know that Emerald is not a badaga village( as per my knowledge) and fully occupied by other communities except one or two badgas having provisional stores and houses along with that, So I request you the remove the Emerald from our hatti list. And also I found Osa Attu Bayilu missing from Meeku nadu. There are two Attu Bayilu one is Palliya (old) Attu bayliu and other one Osa attu Bayliu. Also Bigada missing from Thodha nadu Seeme (not sure about seeme).This village spotted near Ithalar… This is a beautiful very tiny village located in center of the tea estates. As elaborated in the page on Badaga Hattis [villages], still there seems to be no conclusive evidence about how the ancestors made the divisions [geographical and social] about their villages.Simply put, in ancient times, a few houses (among brothers and cousins) formed a HATTI and then a cluster of villages, though based not only on the geographical locations, formed a OORU. Obviously, all the people from the hattis forming the Ooru were/are considered as brothers and sisters – and hence no marriages among these hattis were considered. Then, many Oorus formed a SEEMAY or NAADU. And, FOUR Seemays or Naadus form NAKKU BETTA – representing the complete Badaga population in the Nilgiri hills. Though, only three Naadus /Seemays namely, Thodhanaadu, Mekkunaadu and Porangaadu have the Dhodda Betta peak as the apex and common point of these three seemays, KUNDHEY SEEMAY, at the southern eastern end, is very much a separate and important seemay. See the map. The confusion comes when we realise that some Thodha,Kotha and Kuruma villages/Oorus were also included into the broader periphery of Naadu/Seemay. The probable reasons for this inclusion could be the close association of Badagas with these tribes considered as the original inhabitants of the Nilgiris along with Badagas. Which is the biggest hatti? Where is Halakeru in the Nilgiris? Why have you not given a valid email id?? The Badaga village (hatti) Hawkeri or Halakeru is situated on the road from Coonoor to Aravenu [Kotagiri] . Not on the main road but the alternative road from Coonoor [to Aravenu [ Kotagiri] – Mettupalayam], take diversion at Bandisolai. A beautiful hill road with many hairpin bends and breath taking views of Badaga villages. Just as I was browsing in my free time at office, I wanted to know more information on Badagas and found this very useful and informative website. Kudos !!! My native is Kadanad and my Mothers place is Nanjanad. My dad has settled upon in Chennai for livelihood and its more than 30 years now and myself and my brother are working in CTS Chennai. Offlate, everytime when i visit my hatty there is an more worse situation. We have people moving out and out for livelihood and Coimbatore has more Badaga population now than the whole district Nilgiris itself. Such is the case. People who do farming there are still starving for an wealthier lifestyle. We are not getting good money for Tea Leaves which almost remains the same for past 12 years whereas the economy has doublefolded. How can people survive? They move out to other cities Coimbatore mostly for an average income of 10,000-15,000 which means even that is not possible staying in Hattis, having own lands for cultivation and tea estates even which is a very sorry state right? WHAT I WOULD LIKE YOU TO DO IS WITH THE HELP OF ESTABLISHMENT YOU HAVE GOT, YOU CAN, WE CAN TRY TO BE A STRONG POLITICAL FORCE TO GET OUR NEEDS. SUCH SHOULD BE THE CASE THAT EVEN AN INDEPENDENT CANDIDATE WHOM STANDS FOR OUR CAUSE SHOULD WIN BOTH ASSEMBLY AND EVEN PARLIMENT ELECTIONS THROWING BACK EXISTENT POLITICAL FORCES LIKE DMK.ADMK.INC OR BJP. THEN THE NATION WILL TAKE NOTICE. WE CAN EMPHASIZE OUR NEEDS AND DEEDS AND EARN GOOD AND LIVE HAPPILY ON OUR OWN SOIL AGRICULTURING !!! I say all this because I understand people minds and strictly beleive no one is so happy to move out for a mere livelihood which is the case now. I HOPE YOU CAN TRY, EDUCATE AND WRITE THE NEED TO BE A POLITICAL STRONGFORCE. I HOPE YOU AGREE TOO OR IF YOU THINK EVERYTHING IS FINE AND PEOPLE ARE ALREADY HAPPY, THEN I AM SORRY FOR MY THOUGHTS. THANK YOU. Yes , I have recently visited Nattakal. Had a chance to talk to a few elders in and around that small hatti ,few hetthais/ayyas are 80+ and they too informed that Kinnakorai belongs to Porangaadu Seemay. Proud of you Sir , Have fantastic time…!! I’m a big fan of your’s. I am from gudalur though not a badaga myself. I have been with and known badagas for a long time. I am an ardent trekker and I have been trekking in the himalayas and nepal for quite some time now. some of the places in the nilgiris are very similar to garwal and kumaon regions of uttaranchal and eastern parts of himachal, there is a good scope for wonderful treks here. and the badagas are as hospitable as those inhabitants of the himalayas I really regret for not utilizing the opportunity of trekking while I was a student here at ooty, now I would like to go for treks, ie walk from hutty to hatty along the road used by badagas those days. I would talk to the old timers and find out the routs used by them years ago and just walk along them making use of the wonderful hospitality of the badagas. anyone interested can join me. I am a lawyer at gudalur. my cell no is 09487130262. feb, march april and may are the right time to do these treks. so lets celebrate the beauty of the nilgiris and be with nature and the wonderful badagas. morai…….I am ready to lose my life if I don’t get my life. The life that I meant secondly is my guy…..
GREAT WORK WG COMMANDER, MY SERVICE [CAN] ALSO [BE] UTILISED IF REQUIRED. Wonderful work.. hats off.. I’m always proud to be a Baduga.. thank you! In Meerku Nadu Seeme hatties list, one hatti is mentioned as “Ken Kundhe”. But this has to be spelt as “KENGUNAHTAI”, which comes under KETTI Ooru. Kindly correct this.Thanks. wow,good notion.Blessing of showers from our ayyas and hethes.You made some meaning of your life and our hatties. ALL THE BEST FOR THE ON GOING PROCESS. Badaga.Wordpress.Com is doing an excellent job. simply superb. Definitely you have to complete entire website work asap. If possible, will be proud to be a part of your team. I am settled in Coimbatore. I am too much interested. please let me know. I am proud to be a Baduga. Where is Periya Bikketty is located? Good website, good information. 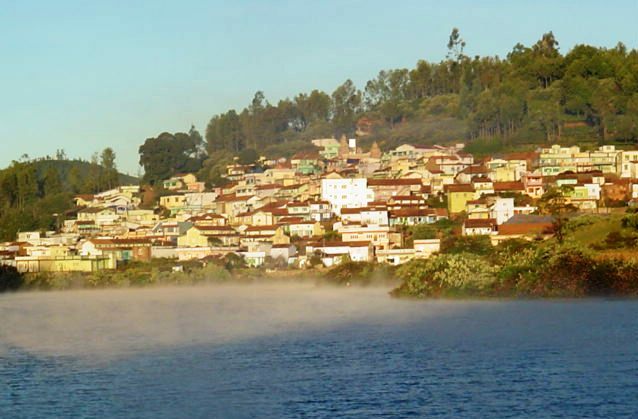 I am from Manihatty which I think is an important village in the Nilgiris. Really interesting. I am happy to be a Badaga. 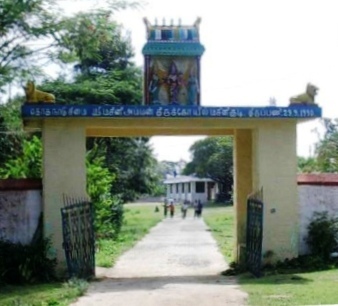 Nanga baduguru ella ollangay ibudhugagi nanga kuladhevaru Hethaiammanah na vendinay. ellaga olliya arasava kodali, sogava kodalli, olliya dhaari thoralinthu nanga Hethai ammana na vendinay jenagu. Between Kundha (Vegeterian) and Mekku Nadu (Non Veg)…..It does not make sense….Majority of the kunda people’s r eating non-veg (veluthu vangiara)….Need more explanation for this…. send the baduga hatti photos ..
Baduga gifts for hathai amma ..? Greetings, Is kookal the first village found by our ancestors? Can Anyone tell that under “Kundhey Seemay” which all Hatti come under which particular “OORU”? It has not mentioned anything clearly about Kundhey Seemay…So pl can anyone update me with some detail information? I AM VERY INTERESTED IN BADAGA. Is BADAGA SIMILAR TO KANNADA OR TAMIL? superb information, really proud of this……. I am proud to be Badaga. Badaga history/old photos are really super, thanks to Wg Cdr Jayaprakash.I want ‘gavava thedi’ film CD. In ITHALAR there are 500 young guys……and rocking of boys generation. BOYS ROCK always in Badagas. Or the situation will turn in such a way as we have to work under them as coolies. Actually who is the founder of Thothanad division..? the Gowda Baby or that Toda father…? I am Sibi from Mullimalai, I am doing my engineering at Coimbatore. I saw all your web sites about our Badaga community,it was fantastic and I loved it a lot. I visited The Nilgiris, it is a wonderful place. I came across a place called “PitaPur Palace”. I don’t have much information about this place. Kindly tell me more about this palace. and the King of this place.Their lifestyle and origin. You ave done a great job. I m very proud of you. All you have written in this website is ok. But missed one thing. That’s about our badaga girls. I am waiting for the information of our badaga girls with their photos. JAYOOOOOOOOOO…….. JAYA. I am really happy to be a Badaga. kindly save our traditions and environment. we must create a wonderful world to coming generations. I’M PROUD TO BE A BADAGA GUY. WE ARE LUCKY TO BE BORN IN BADAGA COMMUNITY. I like our culture… I am proud to be a Badaga…..
We, Badagas, like our culture very much and we love it. Sir, one correction in your details.. The people from Kinnakorai orginally came from Porangaadu seeme and settled there.. So they cant be included in Kundhae seeme .. They should be included in Porangaadu seeme..
Hello Anand, I am aware that there is ‘some confusion’ aboutwhich SEEMAY Kinnakorai belongs to. My info is mainly based on what Prof.P.Hockings’s study. It is quite possible that Kinnakorai originally belonged to Porangadu. I am at a loss to say anything definitive. May be, people like you or the elders in Kinnakorai could throw more light on this. First of all, HATS OFF for you and your great effort…. Recently I have been googling about our culture and most of the places I see the information posted by you in most of the blogs, websites etc… That’s really fantastic.. Will be expecting more info from you in future…. Our forefathers are not less efficient, they knew everything.. So they have structured our culture very well…Hence, we have seemai’s in our culture and we don’t have morai within that… See in a wide perspective, in our culture we will find very very very few handicapped people compared to all other people…. Everything is for our Good !!!! So lets not hate our culture and lets encourage & grew it…..
Dear JP, If possible convey this info to “Monisha”. 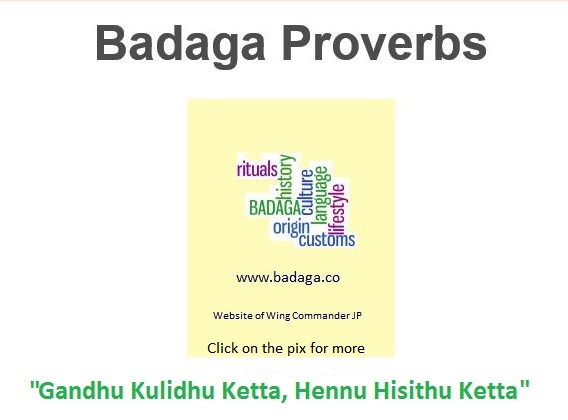 Atleast, let them be aware of wonderful things in our culture…..
Badaga website has been developed in a good manner:) from this website we can know all the details of our badaga culture. change the rules of marriage……. have to accept love and leave them to live for long years with joy and happy…. All Badagas are invited to our village Honnathalai Hethai Amma Festival on 26-12-2010. Welcome and enjoy the habba. Wow…Wonderfull effort. Simply amazing.. I came to know about all the names of our beautiful villages. I am from Kethorai,a superb village which is located at 6 kms from Coonoor.It has a fantastic temple of Meenakshi Amman at its entrance as to wel come all people with the blessings of lord.It is built with statues of 6 feet which seems like real people standing. There are several statues which all together makes up a marriage scene. Our main festivals are Meenakshi Amman Chariot festival celebrated for three days and Hetthai Habba. Our Meenakshi amman temple is under renovation now and after which our village will become beautiful even more. I agree with what Pavithra (Hanikorai) said. It will be really helpfull for youngsters. I am planning to migrate to a nearby place about a kilometer before Ketorai while coming from Ellanalli. I grew up in Nilgris and want to have retired life there now. Happy to know about the temple. Is my choice good?. Deepak can you get in touch with me? I would like to have more information about the place. I am proud to be a Badaga. I am very happy and proud to b a Badaga . Hi it was a wonderful work..pls write our vill Mel kavatty instead of Mel Kau hatti ..
MY NATIVE IS MUTTINADU.I SEARCHED INFORMATION ABOUT MUTTINADU VILLAGE BUT I DID NOT FOUND ANYTHING.I AM REQUESTING YOU TO UPLOAD SPECiAL THINGS REGARDING MUTTINADU. NA ONTHU BADUGA ENTHU EGOTHUGA APPARA PERUMAI PATTANE.ATHU ALLATHE NA MUTTINADU HATTIYA OTTITHE EMBATHU THOGEY NA ENNA PERAVI PAYANA ADENGIBUTTY. I AM PROUD TO BE A BADAGA . HONNATHALAI NANAGA KULA THEVARU HEATHIAMMANA ARULUTHOGE NANGA ELLAVU ENDU SANTHOSATHOGE EBBUTHU ANDU VENDINE. I AM PROUD TO BE A BADAGA….THOTHANADU…. I just gone through the hatti list. In that Bingichangallu near Nanjadu which belongs to Mekkunadu Seemay not included and also Baigada near Ithalar is missing (they belongs to kunde seemay ). I feeel very proud that I belong to this community. Youngsters should mainly know about the Seemai which they belong to as it will be useful to choose their life partner, and this website provides an opportunity for this.Thank you. I am very proud to be a badaga…always Badagas are rocking….. This website is very useful in future. Thank you. I appreciate the good research done to impart so much of facts about the Badaga community . I appreciate the unity of the community and the HATTI system still followed. kindly add our hatti(i think 2nd biggest hatti in nilgiris) ADYGARATTY ,ADYGARATTY VILLAGE & POST, THE NILGIRIS-643203 add some hattis like kasolai, bickole, godalatti, muttinadu,katteri, kenthala, kodari, B manihatti, C manihatti, balacola, mudugula…. All the hattis are reflected with the Badaga way of ‘calling’ them. Thanks for the additional info about ‘Adikaratti’ or Adygaratty. One of the sects of Badagas is ‘Adik[g]aris’ like ‘Haruvas’ and their hatti was known as Adikaratti. Thanks for your quick reply for colors, but can u clarify, is Green color also called / known as Acchai (pachai) color? My hatty name is Samil thittu NOT Samil dittu(16) !!! The hatti names are given as pronounced by Badagas [Read my article fully] and not as listed in the post offices or other wise. For your information; do you know the meaning of ‘Thittu’ and ‘Dhittu’? Dhittu is an elevated place. Is your hatti on top of a hillock or mount ? please add my hatty NADUHATTY ( kattabettu ) Just now I have entered into this website….. spent 30 mins here….till date I never knew about our badagas and their achievements. Because of your hard work, am just looking and enjoying…even I came to know about a famous personality from my village that is NADUHATTY, a lovely place near middle of KOTAGIRI to COONOOR its realy super….keep it up…..my best wishs..to you..
It’s quite long days after my last visit to this site, My heartiest wishes for the NEW YEAR 2010 to all our badaga community. I FEEL VERY PROUD THAT I BELONG TO THIS COMMUNITY……… BADAGAS ARE ALWAYS UNIQUE>>>>>>>>. BADAGA PEOPLE ROCK…I am proud that there are no beggars in our community, we all are kind hearted people. I regret that I could not to meet or call on you during my visit to India because of my personal commitments. I will make it possible to meet you in my next visit.My heartiest wishes to you and your team and well wishers, who helped to growth of this site. I am so happy to see that I am dancing in that video, yes its me! I am the one who dancing in the second row 1st. I am so proud to be a Badaga and I really appreciate those who created this website, thousands of thanks for them. I am from sholur Thalaimalai Village im first time visit this web site This site has given me much information that I’m not aware off…Hearty thanks. I am elementary schoolmate of Mr.Srinivasan from Baduga community. The later father’s name is Mr.Raman, Sr.Position in the TNEB. Mr.Raman uncle may have retired from TNEB Service now. I want to contact my friend Srinivasan now. We lost contact since 1979. My self, Srinivasan and Babu, studied together in Kethai called as pegumbagalla camp of Ooty District during 1973-1979. I have got lot of information about us which is really amazing. Hats off for your precious effort. Of course we are brothers from Manajoor. Actually i’m Ramesh Balraj. I appreciate your responsible reply. The ‘one man effort’ of your services to our community is really excellent and hardwork. My request to all IT professionals brothers & sisters our community, who are interested to join their hands with you and extend their support to our Badaga community……your efforts will be highly appreciated. Thanks for inserting my commens in the site within a week. Everyday I’m visiting this site and spending at least an hour. Hearing our badagsongs and reading new information give lovely feeling and to forgot our worries for certain period of time. This is my small request (suggestion) that if you can add the names important personality of Hatties (Oor Thalaivars) and contact numbers will be very helpful to our community, also put festival details of hatties, which will be helpful to interested fellow brothers & sisters who all are missing due to working in abroad. Hello Ramji, Thanks a lot. I am humbled by your kind comments. My site is a ‘one man effort’ and hence I may take a little bit of time to give the info you wish to see. But since your suggestions are very good, let me start ASAP. My regard for Manjoorians is rising….earlier it is Ravi Balraj from Kuwait and now it is you. Keep it up Kundhe Seemay! This is the the 10th time I am visiting this site, really I wondered. It took 2 hours to go through this site, you have done a fantastic job. Its just like a bible for our next generation. Thanks for your commitment. 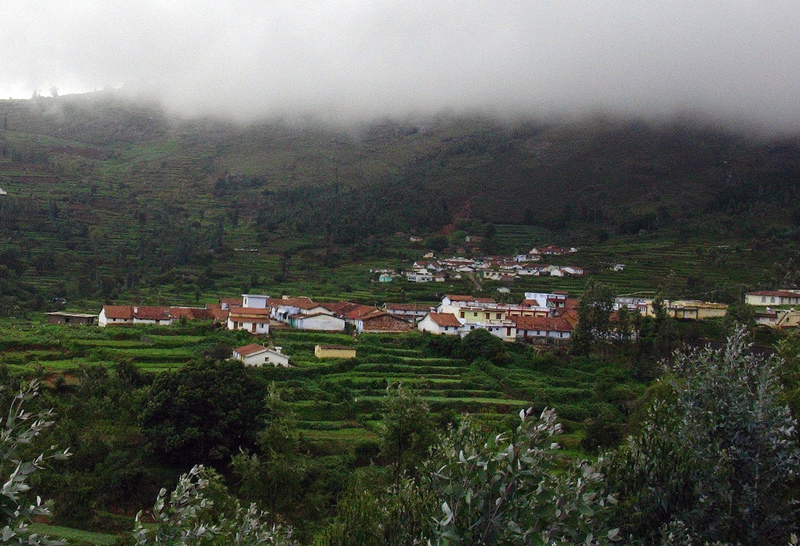 Pororai hatti is a small and very beautiful hatty in the nilgiris.In this Pororai boys are very nice and cute persons. visiting our website is good experience and happy feelings. Excellent Effort, I will appreciate your efforts, how can I add my hatti (Sakkalatty),can somebody help me regarding this. please read our village as ‘KAVILORAI‘ instead of kavilore. Being Badaga, I’m not sure about many things…. This site has given me much information that I’m not aware off…Hearty thanks. As we keep telling you its a super website for the coming generations . I was really happy that someone from my native hamlet is also here. Hello Anand, My father has also spent his childhood in Muttinadu as his parents belong to muttinadu. This is the the first time I am visitingthis site, really I wondered. It took 5 hours to go through this site, you have done a fantastic job. Its just like a bible for our next generation. Thanks for your commitment! Realy good work . I’m born in Hubbathalai, so ,I am very proud of it .Its simply Superb. Special thanks to Wg Cdr Bellie Jayaprakash . hi friends i wanna any hatti newly created outside India. also any badugas living in canada ple inform me…. DEAR JP UNCLE COULD YOU DO SOMETHING TO FIND OUT THE PRESENT STATISTICS OF OUR POPULATION????????? WE ARE IN NEED OF THAT…………. U have done a great job. Its simply Superbbb. Pls try to upload all Baduga Songs with downloading options. I m very interested to listening baduga melodies songs. காய்கண்டி (காந்தி கண்டி) சமீபத்தில் கட்டப்பட்ட (1950) ஹட்டி என்று சொல்லப்படுகிறது. காய்கண்டிக்கு அருகில் இருக்கும் மேல் அட்டுபாயிலு தான் மிகவும் சமீபத்தில் உருவாக்கப்பட்ட ஹட்டியாகும். எமரால்டு டேமுக்கு கீழ் பகுதியில் இருந்த இந்த ஹட்டியானது வெள்ளத்தால் பல முறை பாதிப்படைந்த காரணத்தினால், புதிய இடத்திற்கு மாற்றப்பட்டு புதிய ஹட்டியாக உருவானது. Gai Kandi (Gandhi Kandi) village – hatti is said to be newly built (1950). But the village very close to Gai Kandi , ATTU BAILU, is the one which was created very recently. This village which was below Emarald Dam was affected by floods many times and hence was relocated to a new place. It seems like the village “Hubbathalai” has something special & some special people seem to belong to Hubbathalai. !!!! Any other updates about this unique village ?? Keep rocking Hubbathalai people. !!! very nice work! appreciate all the efforts! Mr. Bellie Jayaprakash, your service is great, thank you. Wavooooo,,,,amazing i came to know so many things,which i was not aware till date.Sometimes i wonder y badaga?? ?but now i realized the sweet part of it.Thank You so much. Awesome, PROUD [to have been] BORN AS BADAGA. 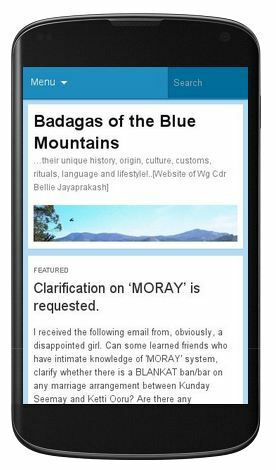 I just search badaga in google; I found this amazing and superb website; I got more infomation about our culture and community. Special thanks to Mr. Bellie Jayaprakash for his kind effort for our community; I am very proud of him, who is nearby my village, Pororaihatty. Now I am in Coimbatore. I am very happy to viewing my hatty ( porore) photo there in Mekkunadu seemae list. This is amazing. I am really proud to be a Badaga. I wish this website gets more developed . In Thodha Naadu Seemae- Ebbanad is given as  Ebbunadu and Kengamudi as Kenguvamudi. Pls change this to Ebbanad and Kengamudi. And also I have one more doubt [ref 84.Melatti] in which seemae is this hatti situated? I would like say a few words about my village. 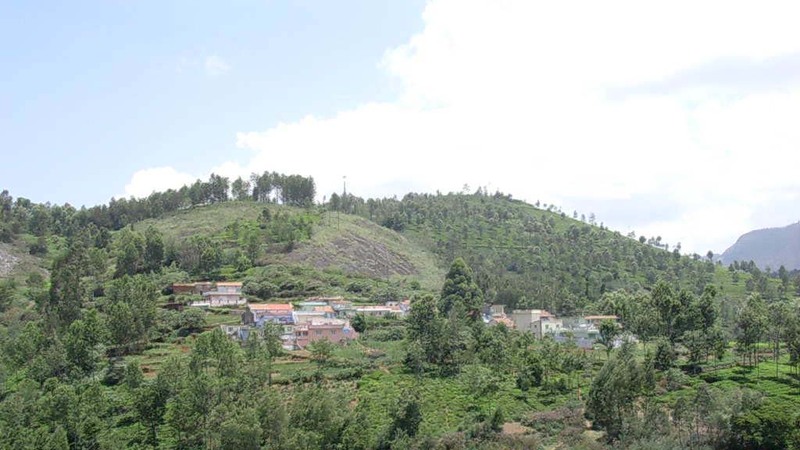 Ebbanad is temple village of Nilgiris. The people of Ebbanad and Kengamudi belong to Meekunadu seemae but we are living in Thodha nadu seemae. In Thodha Naadu Seeme – Sholur name has spelled with wrong name [Refer this 13. Soluru ] . Pls change this to Sholur. Ooty to sholur 20 km.. Way of Gudalur Main Road, Santinalla(7th mail) First Right Turn.Go to Stright Road..
My village is Sholur Kottatty It’s a very beauti Village..
hello friends any body in Thummanada Village…. The efforts taken for this website are outstanding and simply superb.Proud and lucky to be born in Badaga Community. But at the same time I felt little ashamed of myself because being a Badaga I have learnt lots of information (badaga origin, history etc ) only now thru this website.Really thanks for all the kind hearted persons who have shown their interest in creating this website. My advise to all young generations is to spread good words about our good community to everywhere in this world. After all I am a kind of person who simply dies for the old songs ie.songs sung by the legends Mr.Kerben bella Gowder and Mr.Kurudu Kada.I love those songs and sometime i listen to the savu songs sung by Bella Gowder when I am in a depressed mood. Of course me too a moderate singer. Thanks for giving excellent songs which cannot be forgotten ever in my life. You have done a good job.I think you have not heard about our village. The name of the village is “Uyilatty”; its really a beautiful hatty.I would be happy to see the pictures ; articles of our village. JP comments > Thank you. I have heard about your hatti [see s.no.82 under Thodha Naadu Seame] but not seen it so far. Will visit soon. Prof.Paul Hockings feels that UYILATTI means a hamlet beyond boundary [UGAL HATTI]. As I keep requesting youngsters like you to send me pictures and articles about your village [by checking with the elders of the hatti you may gather some interesting titbits] and I will definitely publish them with due credit to the author. Please include Hallaty in Thodhanadu seemai..This is between Kadanadu and Dhavanai. You have done a good job.Though I am a Baduga I know of only a few hutties. Now I am suprised to see hundreds of hutties here.This is very useful for us to know about other hutties. I belong to Bearhatty. You forgot to add Annikorai in Thothanadu seemai. Annikorai has good identification oiver the nilgiri villages and it comes under the thothanadu seemai. I am surprised, how you have missed it from the classification. Also if you are able to list the villages within seemais alphabetically, identification will become much easy. You have taken an excellent initiative to make this website a great online traditions library. My sincere appreciations, love and prayers. Thank you Ramesh. I am thrilled that my website is being visited and appreciated by people living far and near. It’s a great effort. I really appreciate the work u folks put in developing this site, and making things lively. I am Ramesh Mathan belongs to Thumbimalai hutty, Kil-kotagiri area. I am working in London, United Kingdom as a Software Engineer. Let me come to my point. I have read many articles regarding the Badaga and European connection. The Y-chromosome DNA marker test on the badagas has resulted in the badagas belonging to the R1a and specifically R1a1 Haplogroup. Moreover, few percentages of people in Central and east part of Europe also belong to R1a1 Haplogroup. Is this true? It’s surprising. I spend most of my recent times thinking on this topic. I started hunting for information from different web sites to know more about this, and trying to get something out of it. It would be more interesting if we get closer and dig more on this. Being in Europe now, to get underway, I am preparing myself to know more about R1a1 Haplogroup people who live in Europe, and study their culture and life style. The outcome would help us to compare and research on how we relate to them. I strongly believe that as deeper we go, we may get lot more facts; hope these combination of real facts would form a principle. your work is very nice and try to find the number of hattis ….Above seen images are simply superb….. Thank you very much B.S.Krishnamoorthy from GENEVA. It is only due to such encouraging words like yours that motivate me to do more. I have just visited this page after three months gap. Surprised to see all the development and wide range of coverage. Really wonderful work. Nowadays this site is becoming like a dictionary for our badaga community. I kindly request you to check the following. In my opinion, in Porangadu seeme, 14. Ali ooru and 113. Hayoor are same. 16. Sayil dittu should be corrected as Samil dhittu. I spent a lot of time going through the pages today and gained a lot of knowledge about our history. JRK writes again to say [S.No.63 under Porangadu Seeme] Onnatti is Honnatty. I am from a village on the way to kil kotagiri(sholurmattam) named as HONNATTY which is not shown in the above list. Till today I didnot know to which SEEMAE my hatti – SUDATTI -belonged to….now I know that it belongs to PORANGADU SEEMAE. Eventhough people living in the following hattis are Christians, they are also Badagas. In my opinion KOMBUKORAI and THORAJADA may be included in Badaga Hatties list. Santhoor was added because Rajunandha recommended in his post in Badaga.org. Earlier, N Bellie has also taken strong objection to Santhoor being included. He writes in his post “In Badaga Hatties, Shantoor was added as a Badaga Hatti. But Shantoor is not a Badaga Hatti. There only non badagas live, and it is a small bazaar in Ketti. Yes, I agree that Santhoor should not be included. So , should we add Thorajada & Kombukorai ? Shantoor does not come under any of the hatti/seemae. and nearby villages who have converted to Christianity live. one of the Christian mission centres founded very early in the Nilgiris. other than the badagas who live by the traditions of Hethai. May be we ignore this as a hatti. Thank you. Hayoor has been added now. This is definitely a good work. I would like to notify you of the omission of the hatti named Hayoor which is next to Kannerimukku in Kotagiri.